CrossKnowledge, a Leader in Digital Learning, developed MySalon-Edu.com, an online platform that focuses on salon education, with L’Oréal group. CrossKnowledge and L’Oréal’s longstanding relationship of trust came in handy when creating this platform. The e-cademy MOOC was created for the world’s 7 million professional hairdressers and beauticians. This initiative is exclusive to the beauty industry and aims to establish salon education as a true lever for transformation. Digital technology is a key aspect of the success of this project. With digital technology, users can reach the entire community from any location and at any time. The platform enables these professionals to network, exchange ideas, and share their content (videos, tutorials, …) to gain visibility at a local and global level. By sharing this goldmine of knowledge with cosmetic and beauty experts, L’Oréal Professional Products is remaining true to its core value of passing expertise on to others. The MySalon-Edu inspires hairdressers worldwide to innovate their approach to services, customer care, and discovering trends so that their businesses remain attractive and remain able to satisfy consumer demand. The rise of digital technology has changed the world of salons, and to keep up, hairdressers must connect with other industry professionals, understand his or her professional environment, and be flexible enough to adapt all the time. What could be better than a digital tool to support hairdressers and beauticians and that enables them to adapt in this changing environment? The main challenge is to support professionals as they organize and develop their businesses. L’Oréal chose to create this platform for educational purposes only. MySalon-Edu.com is meant to act as a non-promotional community portal with a genuine social purpose. More than 3,000 multimedia resources are currently available and hosted on the CrossKnowledge platform, which provides an additional content on personal development, business fundamentals, client orientation, video tutorials, quizzes, modules, and interviews with industry professionals from all over the world. All content is available on computers, smartphones, and tablets. “Salon education is now a click away. By providing a dedicated platform, centered on the needs of professionals, we’re providing hairdressers methodological and artistic content that allow them to improve their to help them improve not only their technical expertise but also their management skills. The project yielded very encouraging early results in Canada. The initiative has totally changed the way we relate to the professional beauty industry, and we now want to bring this to the entire world,” explains Eric Royer, General Manager Professional Development, Education & Sales, L’Oréal Professional Products Division. “We are proud to support L’Oréal for many years not only to employees of the group but also within its ecosystem. 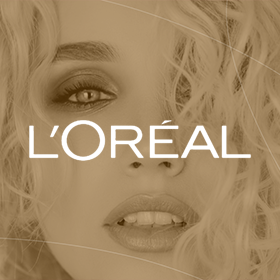 MySalon-Edu.com perfectly illustrates how L’Oréal gives life to its principles, “adds Michel Thirapounnho, Director of Industry Luxury & Cosmetics, CrossKnowledge. CrossKnowledge is a global leader in distance learning solutions. Its flexible solutions, available in “SaaS” mode and 100% “cloud” based on exclusive learning formats, content that reference worldwide and a range of support services. CrossKnowledge solutions facilitate the rapid increase in the competence of all employees and the distribution of the company’s strategy while providing a unique learning experience for the individual and a high return on investment for the organization. formats and educational content CrossKnowledge have been designed in collaboration with a “faculty” international, composed of the best experts and professors from leading business schools. CrossKnowledge’s expertise in instructional design and deployment is formalized within the CrossKnowledge Academy and made available to customers as part of certification programs. CrossKnowledge operates globally and caters to companies of all sizes and all sectors, totaling over 7 million learners. CrossKnowledge is part of the Wiley group.